LAS VEGAS, April 17, 2019 /CNW/ - Australis Capital Inc. (CSE: AUSA OTCQB: AUSAF) ("Australis" or the "Company") is pleased to announce the pilot launch of COIL™, the first iOS and Android loyalty application based on a decentralized, international network of dispensaries, in Nevada and California. Developed by Rthm Technologies, Inc. ("Rthm"), a wholly-owned subsidiary of Australis, COIL's loyalty program enables dispensaries and select MSOs to engage, reward and retain customers while attracting new customers through geolocation-based incentives. Since developing the #1 health and fitness app in 26 countries, and the world's first mobile genetics and circadian rhythm mapping platform, attracting over 3 million downloads worldwide, Rthm directed its focus to the quickly expanding United States cannabis industry. COIL, a mobile platform built on Rthm's proprietary biometric algorithms, both educates cannabis patients and rewards consumers for shopping at safe, regulatory compliant, and leading cannabis dispensaries across the United States. While many dispensaries offer in-house loyalty programs, COIL networks hundreds of dispensaries into a single, mobile based, comprehensive loyalty program designed to exclude illegal dispensaries to the benefit of regulatory compliant vendors. Using rigorous evaluation criteria, COIL identifies and partners with premier dispensaries, based on consumer relevant criteria like product availability, licensure, experience, and bank card acceptance. COIL utilizes machine vision-based receipt analysis, enabling consumers to easily scan receipts from eligible dispensaries using a smart phone. Users earn COIL Points for every dollar spent, which are seamlessly redeemed in-app for digital gift cards from popular brand names like Uber and Whole Foods. "The United States cannabis industry is growing rapidly, but consumers are largely alone in navigating both the diverse array of chemically distinct products, and the burgeoning number of retail vendors which vary widely in quality, safety, and regulatory compliance," said Alexander Mosa, CEO of Rthm. "The COIL network of certified dispensaries will include only the highest caliber of retail vendors, to whom foot traffic from geofenced app users will be directed. Leveraging large, multivariate data streams pertaining to the psychophysiological effects of different products, a species of data for which COIL, with heritage as a premium health app, is intrinsically advantaged in analyzing, will further increase efficiency in the dispensaries, as COIL users will arrive educated, with a clear product type in mind, thereby reducing in-store human resource requirements." COIL's strain classification approach, predicated on a broader IP portfolio, identifies cannabis based on chemical profile and physiological effect, measured both by biometric and qualitative user feedback, rather than street-name or flower type. Already used by millions of people around the world in the original Rthm app, COIL's patented biometric algorithms analyze user sleep, heart rate, and daily activity to see the effects of different cannabis strains, dosages, and consumption forms on overall measures of health. "The launch of COIL into the fragmented United States cannabis space will immediately resonate with MSOs and SSOs alike delivering new loyal customers with minimum cost of acquisition," states Scott Dowty, CEO of Australis Capital. "As the United States cannabis industry evolves with increased competition from traditional retailers, new distribution portals and as new laws such as the States Act are enacted, COIL like Rthm before, will have significant leverage in driving traffic to partner dispensaries while building a valuable data set." A fully customized, brandable version of the COIL application is available for select MSOs. Beyond brand concordance, select MSOs will have access to the full breadth of technology in the Rthm portfolio, constituting a strategic advantage in attracting and retaining high-value, wellness-oriented consumers. From products tethered to discrete in-app experiences, such as guided meditations or yoga, to loyalty and rewards, the COIL platform is designed for turnkey, encumbrance-free implementation to either coexist with, or replace existing customer loyalty and engagement programs. 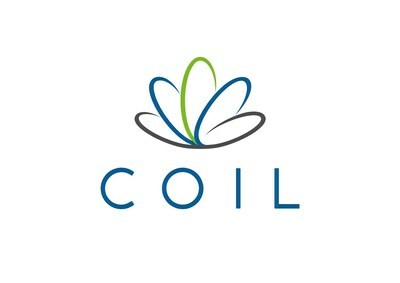 As COIL completes its pilot phase and prepares for a broader United States launch, parallel revenue streams, including in-app subscriptions for premium content, demographically segmented and targeted brand promotion, partner licensing, and dispensary revenue share agreements, will be introduced to create a sustainable, high revenue platform at the intersection of cannabis consumers, patients, and companies. A spin-out of Aurora Cannabis (NYSE : ACB -TSX: ACB) in September 2018, Australis identifies and invests in the cannabis industry predominantly in the United States, a highly-regulated, fragmented, rapidly-expanding and evolving industry. Investments may include but are not limited to equity, debt or other securities of both public and private companies, financings in exchange for royalties or other distribution streams, and control stake acquisitions. Australis adheres to stringent investment criteria and focuses on significant near and mid-term high-quality opportunities with strong return potentials while maintaining a steadfast commitment to governance and community. Australis' Board and management team have material experience with, and knowledge of, the cannabis space in the U.S., extensive backgrounds in highly-regulated industries, adherence to stringent regulatory compliance, public company, and operational expertise. In addition to the Company's expertise and strong execution on strategic M&A, which to date includes Rthm Technologies Inc., Body and Mind Inc., Quality Green Inc., Folium Biosciences and Mr. Natural Inc., Australis has developed strategic partnerships with companies such as Wagner Dimas. Australis' Common shares trade on the CSE under the symbol "AUSA" and on the OTCQB under the symbol "AUSAF".